Little Orchard Playschool, Carrick On Suir. 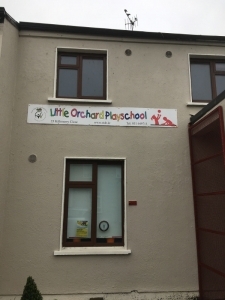 Little Orchard Playschool is managed by South Tipperary Development Company Ltd. and is a community based playschool service which operates in the Ballylynch Estate in Carrick-on-Suir. The playschool service is open 5 days per week, 38 weeks per year and runs from September to June each year. The opening times are 9.15 am to 12.15 pm. Our playschool children are supported in reaching their potential, at their own pace. Our system enables us to ensure a planned curriculum tailored to the needs of each individual, we offer a curriculum which enables children to progress towards the early learning goals throughout the early learning stage. The service has capacity for 14 children to attend on a daily basis. During the year along with our regular programme of structured and unstructured play activities the playschool children take part in the other events which include the Cheerio’s Pyjama Day, which raises funds towards children’s charities. This is a day when the children wear their pyjamas to playschool and are treated to Cheerio’s cereal for their breakfast on arrival. The children also enjoy a Santa visit in December and each child receives a small gift from Santa and has their photo taken. At the end of the playschool year in June we offer our graduating children and their parents the opportunity to have their photograph professionally taken in their graduation gown and hat and we mark the day with a celebration of their moving on to the primary school system. 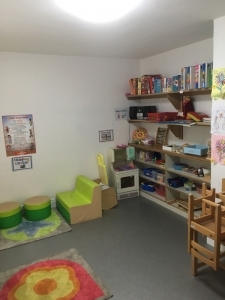 Our playschool service operates the ECCE (Early Childhood and Education Scheme) which provides a free playschool place to eligible children in the year prior to starting primary school. 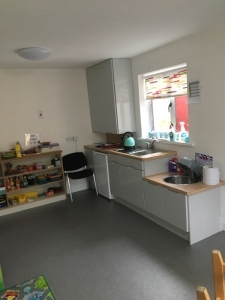 Our Playschool service is inspected annually by the HSE Childcare Inspection Team, the latest inspection report is available to view in Little Orchard Playschool Service at any time.